How Green Is Your Team? Use our simple 'Green Calculator' to find out your 'Green Score' in a couple of minutes. Did you know only 46% of people consider themselves an environmentalist! That means less than half of the population care about the environment. With those stats, it’s no wonder climate change and pollution are trending topics. But the question is how green are teams? Well for starters 20% of teams don’t know about their carbon footprint and 18% of us still don’t recycle! See more interesting stats like this by downloading our infographics below. Now is the time to act. The decisions that you and your team make will impact the future of our planet. If every team across the UK made little changes to their everyday routines, we could make a lasting impact. Not only that but going green is good for your budget too! Global teams and sport associations like the FA are making changes to be eco-friendly & more efficient. And efficiency equals money saved. If they can do it… then so can we! 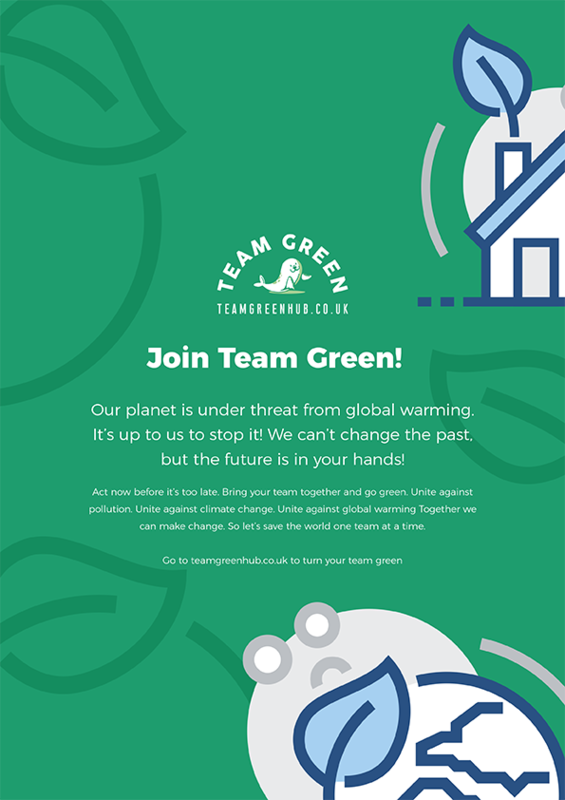 Use our Green Calculator to find out just how green your team is. That’s step one in turning your team green! Design your teams eco-friendly hoodie for your chance to win £500 of eco-friendly merchandise. Teams have a huge impact on the environment and yours is no exception! The big and small decisions your team makes, are what decide our future fate. So don’t sit back and do nothing! It’s easy to think that our small actions won’t make a difference. But if that’s how every team thinks, then nothing will change. We need a change in attitude. We need to unite against pollution, unite against climate change. Act now because your decisions can save the world. But where to start? Well our Green Calculator is a great starting point. 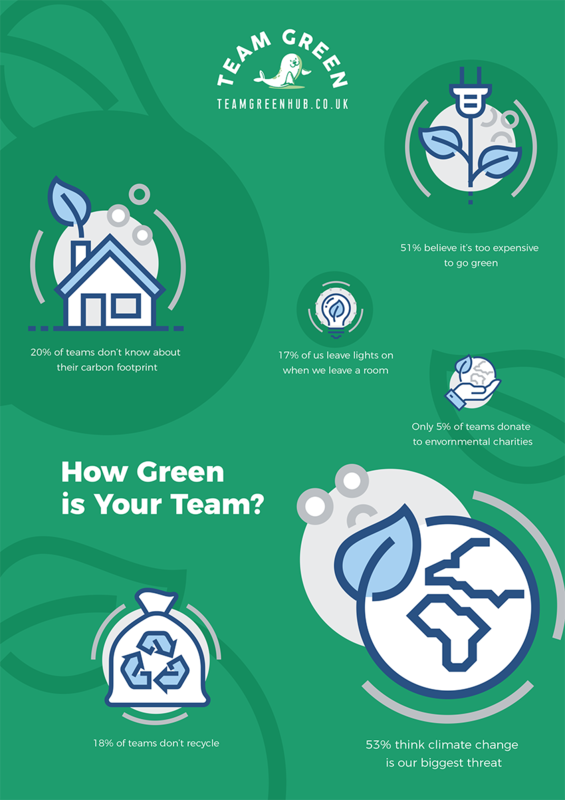 Find out how green your team really is. You might be shocked by the result… We’ll even give you advice and tasks to get you on the right track.